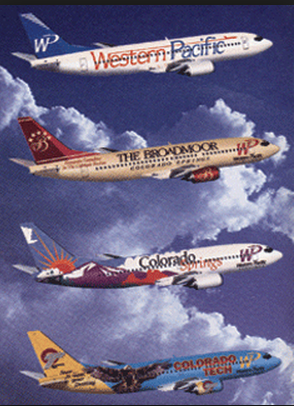 Western Pacific Airlines, or WestPac, took up service on April 28, 1995 using eight Boeing 737-300 jets. 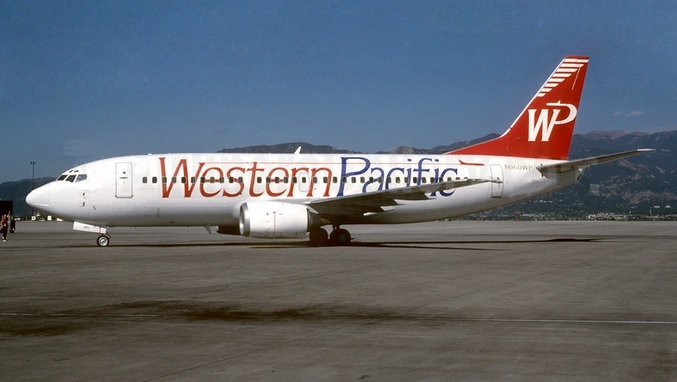 The low-cost airline was formed in 1994 under the name Commercial Air but the name was changed to Western Pacific for marketing reasons. Edward Gaylord of Gaylord Entertainment Company was actively involved in the formation and management of Western Pacific. Its headquarters were located in unincorporated El Paso County, Colorado, near Colorado Springs. 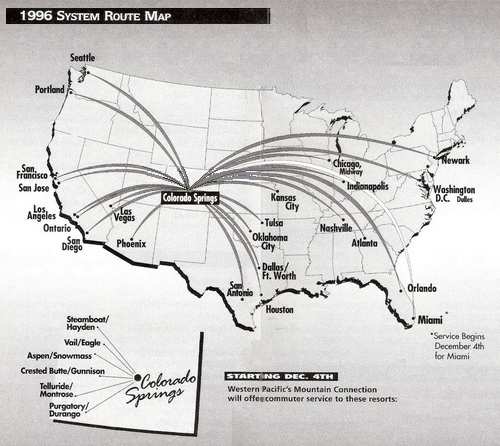 Originally based at Colorado Springs Airport, Western Pacific flights were predominantly west of the Mississippi River. Later the airline's route system spread to the east coast and expanded on the west coast as new Boeing 737s were purchased. At times the airline leased Boeing 727s. The airline declared bankruptcy in February 1998 and ceased all operations.